Google Adsense Vs Affiliate Marketing - Which is Better and Why? It is not a skyrocket to become an authority in niche blogging. Even if you are a beginner, you can make use of micro-niche marketing guide. As a blogger you can use both the sources to earn money online. There are some deciding factors which make much difference in making money online. Here are they. Moreover, you have to know the strategy well to meet these deciding factors to make money online. For more detailed information, you will have to continue reading below. But, I am sure that this page will be more helpful for you move ahead to earn money online favorably. Now, let’s have an in-depth analysis of this two online money making origins – Google Adsense and Affiliate Marketing. Google Adsense is an online ad placement service where you will get paid per click or impression by placing such advertisements on your web pages. It is an online money making service render by the famous digital giant, Google. This program offers you a user-friendly process to get things done. You have to apply for the Adsense, stating site on which you want to place ads. Against approval, Google permits you to display relevant ads on your pages, and you can set it wherever you feel worthy. Placing ad banners is a crucial deciding factor increasing your impressions or clicks rate. Probably you can put banner ads either in the sidebar, header, footer or above comments box. Google offers tonnes of awesome ad banners. The ad content may be anything like text, image or video. It’s quite an impressive, right. The primary thing here is that you will have to have a mind-blowing site or blog getting ample organic traffic so that the click ratio will be high in turn brings you money. You don’t bother about the product or niche relevancy here; Google will take care of that as it analyses your page thoroughly before approving. Google Adsense is the best source to boost beginners to earn some money at the start. Thereby, they can get more into its in-depth tactics to grow up their earnings. In short, Google Adsense allows you to make money as quick and secure. You can make money against ad impression and if any clicks happen, as soon as you get approval. Don’t require any online marketing skills or need not be a big shot over the net. Any microsites or beginners can enjoy making money. No hectic in choosing a niche or researching on best selling products, it is as simple as just approval and placing ads. No need to sell any product or you don’t want to convince your visitors for anything. You have to concentrate on having an impressive site with quality and informative content bringing high traffic. You don’t have control over choosing your niche products for advertising. You have to rely on one and only Google. Google is the BOSS here. You have to conscious in following Adsense rules to get approval and for the account liveliness. Even after approval, Google may ban you at any time if you are violating Adsense rules. You have to be vigilant not to irritate your visitors with your ads; then you will be losing your traffic and hence, your earnings. However, let’s see how Google Adsense is winning the race in helping digital players to make money Here are few benefits of Google Adsense over Affiliate Marketing. Don’t require much research in choosing niche products whereas in Affiliate Marketing, selecting a niche is a critical part. Adsense brings you money quicker but, you will have to wait for even years to earn money through affiliate marketing. You need not be online marketing expertise, in case of Affiliate marketing, you have to be influential. As a startup, you can begin with some decent income boosting you to go further on. Don’t merely follow any tricks and tips of people throwing simply. Analyse and apply not to violate the rules. People usually won’t drop and sell the account, earning money. So avoid buying existing Adsense account at cheaper cost. Spend all your time and energy in making pleasing, informative content to bring more traffic. Be wise in choosing the right position to place ads and don’t place too many ads irritating visitors to bounce off from your page. Google Adsense helps you to make massive money as if you are trying Event Blogging. Create event blog on particular topics about any international celebrations or events like Christmas, New Year, Valentine’s, Black Friday and more. Do optimize your event blogging site and have your ads placement. In short span of time, you can earn hit thousands of dollars. Niche blogging is another crucial strategy to make money through Google Adsense. For instance, you choose to run a “job portal” blog; it’s always appreciable to posts all about your niche. Say “Finance Jobs” and placing Adsense link on the same niche, then the clicks will be more than enough and make you reciprocating money. Can we customize and use the labels above the advertisement banners? 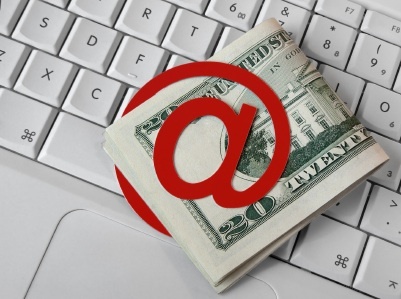 Does Google Adsense pay for every click? Is there any exception? No Google Adsense does not pay for invalid traffic. Invalid traffic refers to any clicks or impressions artificially raising advertiser’s earnings and for self-clicking on your ads. Do I get an alert if Google deactivates or bans my account? Yes, You will get a warning message as you are violating the Adsense rules and policies. Unlike Google Adsense, many companies offering Affiliate marketing programs to earn money online. It is not the fact that Google does not support affiliate marketing or it shows partiality in ranking such sites holding affiliate marketing links. Don’t panic. Rather than that, Google recommends you to have affiliate marketing links in any well-authorized blogs. Affiliate marketing is a way of promoting other’s products online through your blog or web pages. Here, you can choose any of the third party products as a niche and expand online to get commission against successful sale as redirecting from your link. There are plenty of such affiliate marketing programs available like Amazon, ClickBank, Maxbounty and more. Many favorite bloggers or any online expertise are earning lumpsum currency with Affiliate Marketing. It is little straightforward to get into affiliate marketing by signing up any product selling or e-commerce tycoon’s affiliate program. Even you can directly have deals with the store whose product you will be marketing. Against successful enroll, you may start promoting the niche products on your site using their affiliate links. Now, here comes a peculiar task. You have to possess a website or blog rich in quality content relevant to the niche product. You have to keep your site active, feeding people with all sorts of information related to the niche. You have to talk about it frequently and engage your visitors. Once building trust and hope among the users, they may strike to click on the affiliate link on your page after reading your reviews. 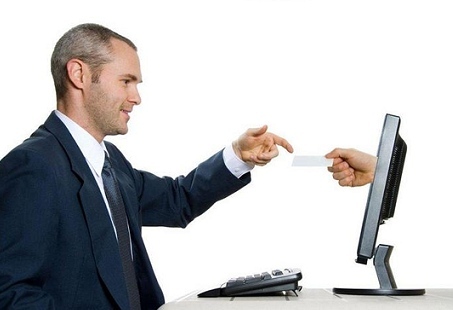 Then, they will redirect to the merchant’s website and thereby leads to purchase or sale. Thus you will be earning money depending on the commission percentage for the specific product sale. You can choose any stream of niche which you may love or curious to market. You can roughly calculate the earnings you can make out of each sale as it depends on the percentage of commission for the product sale. The income will be extensive, and it pays you for years. It is the long-term money making source. You can be a part of a blogging network or blogosphere and so that building rapport among people. A vast number of companies offering affiliate programs and they provide training, workshops, marketing collaterals to help you in all ways. Here is a unique advantage, nobody can ban or stop you promoting and hence, making money online. Need in-depth market study and analysis to choose the best affiliate program and the real selling niche. You have to battle with your competitors and win the race if your niche is very common. You cannot make money by the very next day; you have build baseline to earn later on. You will earn your commission only against the product sale, not for merely clicking the affiliate link. Better online marketing and promoting skills are necessary to maintain an authoritative web page as well as to build rapport and trust with your audiences. Still, statistics are saying that 90% of the online money making webmasters prefer affiliate marketing as the prominent source to make money online. Here are the few points why it is favorite among the digital marketers. Affiliate marketing ensures better earnings than any other sources of online income. You do have control over choosing your niche product to promote so that you will be more comfortable in marketing it. You don’t have to wait for anyone’s approval, or there is no boss to have control over you. There is no need to generate billions or millions of traffic; few thousands will get you remarkable pay. Affiliate program ads are more attractive than Google Adsense advertising banners. There are no such invalid clicks; the repetitive sale would be a positive promotion here. Go with your personal or desirable niche product so that you can write valid reviews about the product. Don’t always have the intention to sell the product, instead talk about its real benefits reading the audience’s mind. Place your affiliate links in such a way not to bother your readers and also don’t dump. Don’t produce any false impression about the product just for the sake of selling to earn money. Then you will have to lose your value and the longtime efforts on your blog. Micro-Niche blogging is the best work-out tips to make lumpsum money. Design a single landing page for your micro-niche and keep posting blogs with fresh content relating your micro-niche product reviews and benefits. For example, Instead of blogging about “hosting,” you may pick a unique micro-niche to say “Bluehost” or “HostGator” and promote. Hence, you will get more target audience, and in turn, brings you massive money. Niche Marketing does have its equity contribution to micro-niche marketing in generating traffic. In case your micro-niche is out of date or saturates due to any other reason, you may switch over to another micro-niche product related to the same niche. What are all the factors to consider before choosing a niche? Go with the famous names like Amazon, ClickBank and so on. You have to be very stubborn in choosing your niche which you are already using, or you have a personal touch with that. By which you can promote it confidently. Does the commission percentage differ depending on the products price range? Yes, It depends on the merchants offering affiliate programs. You have to visit their professional affiliate program page for specific details. However, before signing a deal, you will have to clear about all this for smooth running. Whether I can have monthly or periodical reports on the sale and corresponding earnings? Yes. Popular affiliate programs provide services like conducting workshops, marketing tips, link generation tools and reports. With its competitive benefits over the other, there always a race lies between Google Adsense and Affiliate Marketing. So that, you can attempt both to double your income. But, don’t make your page as an advertising agency dumping multiple advertisement banners and affiliate links. I recommend starting with Google Adsense having a trustworthy site. Bring high organic traffic from search engines to earn some fair amount of money to begin. Meanwhile, build your readers base or audience strength to promote related niche product. You can easily see significant improvement in your online income as through affiliate marketing. But, all you have to do is to increase your website traffic, in turn, increasing your possibilities to earn money online. If you could work that level to have such massive traffic, then you are the one expertise in making money online. In fact, you will be able to monetize your blog without ads if you have got targeted traffic. I am hopeful to see your thoughts about this posts on Google Adsense Vs. Affiliate Marketing. If you are you already an expert in online monetization, then you are most welcome to share your ideas and strategies in the comments box below. This is great comparison over Adsense and affiliate marketing, these both our own value on the place but I think the Future of blogging is affiliate marketing because most of the blogger facing some kind of invalid click activity and Adsense disable. you cover the topic form the best way. What can I say? Very interesting way to present Google Adsense. Do you have any tips regarding event blogging? My blog is targeting a local audience and using Adsense to monetize it but the CPC is too low for so many views. This article is inspiring and maybe I will start a new blog dedicated to affiliate marketing in the future, this time targetting international audience to maximize my income. Thank you. I like your post very much Affiliate marketing pays more than AdSense you can find affiliate product for all very niches, but AdSense is not allowed on certain niches. I’m a digital marketing student. I really want to know the difference between Adsense and Affiliate Marketing, I have many doubts but after reading this long detailed article. This post helps me a lot to find out a difference between Google Adsense vs Affiliate Marketing. Now I understand every aspect of it and my doubts have been cleared. Thank you for telling the valuable aspects of both. Hi Sathish Arumugam , you are absolutely right! Affiliate marketing is one the best business model for making money online. Affiliate marketing does good for the same amount of traffic on your blog or website than Adsense. Adsense required more traffic and click to ads on your blog to make more money. So of-course I will go for affiliate marketing and also suggest my friends to do affiliate marketing. By the way you have nice and self explanatory article here. I am looking for more tips though! Thanks you for sharing this info! i m trying to get google adsense but it is not approved in my website and trying to reach more people but the content quality is not getting their or SEO so this helps a lot . Hi Dr. Naval, Thanks for the comment. Yes, now Adsense has introduced many new strict rules and entertainment. It seems to hard to get Adsense approval. But impossible is nothing. Sathish, you have shared very helpful information. Important factors to make money online to detail review of Google Adsense and its pros and cons to its benefits and as well as detail information on Affiliate Marketing, it covers it all which will be very helpful for every individual to use it. Thank you very much. Hey Sathish! This is a helpful article and review. It’s very informative. Especially if the traffic is coming from low tier countries, the CPC are often low. But it also depends on the niches too. If the site gets a decent amount of traffic, then Adsense is a great way to monetize the blog. On the other hand with the affiliate marketing, it is an awesome way to earn some bucks even if the traffic is from low tier countries. Anyway, this is an awesome post. Affiliate marketing pays more than AdSense. … You can find affiliate products for all niches, but AdSense is not allowed on certain niches. AdSense offers recurring income, whereas affiliate marketing pays once per shot. AdSense is managed by Google alone, whereas there are many large and small affiliate companies. This article is very informative. I visited your blog first time and i bookmarked it. Both ad sense and affiliate marketing have there own pros and cons. But i personally like affiliate marketing as compared to ad sense as affiliate marketing gives you more money by couples of sale but if you want to generate the same amount of through ad sense you have to make a lots of efforts. HI, I like your post very much Affiliate marketing pays more than AdSense you can find affiliate product for all very niches, but AdSense is not allowed on certain niches.AD sense offer income whereas affiliate marketing pays once per shot. This is a very intersting topic for earning purpose, both are good ways to earn money. But by affiliate marketing we can earn money in bulk and adsense is also good by adsense we also can earn but the money will be little less as compared to affiliate marketing. This was a good topic and I learned a lot from your article. It truly inspired me and thnx for sharing your review. Hello sathish I personally like affiliate marketing because it allows to earn money whenever i want. Adsense wan’t let you pick the ads target audience, that means you are irritating your blog audience with your ads. That being said here are few of the biggest reason, why you should use affiliate marketing over adsense. Affiliate marketing can help you keep your visitors stay on your blog, whereas adsense kill your readership. Hi , i like this post a lot and i think Affiliate marketing pays more than AdSense. But adsense gives recurring income in comparison to affiliate who pays once per shot . While , adsense is managed by google alone whereas there are many large and small affiliate companies. I think affiliate has more edge over adsense according to me and i loved your insightful post with proper pros and cons of both. I’m a digital marketing student. I really want to know the difference between Adsense and Affiliate Marketing, I have many doubts but after reading this long detailed article. 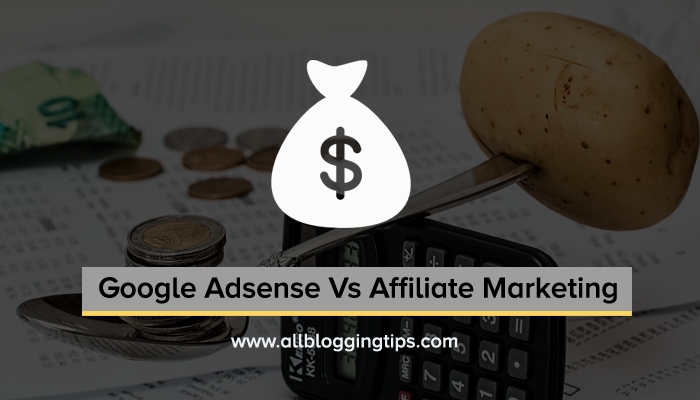 This post helps me a lot to find out a difference between Google Adsense vs Affiliate Marketing. Now I understand the every aspect of it and my doubts have been cleared. Thank you for telling the valuable aspects of both. This is very informative. Keep posting articles to get more about it. The way you’ve distinguished between Google Adsense and affiliate marketing is very informative and helpful for every one who is confused on what to go forward with. I am looking forward for more such useful articles in the future. For the newbies, what will you recommend AdSense or Affiliate?? One more question is that if I start building link before creating a post, for example I purchased a domain and start building the links for that without writing any article in that website, is it a good idea for ranking in Google? Hi Satish, great tips. There’s always a huge debate going on when it comes to Adsense Vs affiliate marketing as most beginners would prefer adsense and the people who are looking for decent passive income go for affiliate marketing. I would personally go for affiliate marketing over adsense any given day and I’ve tried and tested both of them on the few sites I own. Hands down, affiliate marketing worked best for me. But the only hard thing about affiliate marketing is that it takes a lot of time to really make decent income from it. Adsense on the other hand helps you quickly make money if you’ve decent website traffic. So for beginners who are driving a lot of traffic and looking for ways to monetize, AdSense can be a great choice (also there are few other alternatives such as revenue hits, adsterra etc). But for people who are looking to make more money in the long run should target affiliate marketing. Thanks for publishing the guest post Ammar. Great work guys. Keep up the great work. According to me going with affiliate marketing can allow you to generate a lot of $$$ quickly rather than adsense or website monetization with advertising platforms. Thanks for posting this valuable post, I’m currently starting a company, a friend emailed me your link, and as always I enjoyed writing, this my friend, guided me to create a blog inside my site on topics that my clients would love to read, and add Google adsense on the blog. I would prefer Affiliate marketing which I can earn while We are getting 100 organic traffic on the blog but in the other hand, You need to have a large amount of traffic to earn from Adsense.. Both are good but Affiliate marketing is my favorite and best income sources. Thanks! for sharing your opinion. I was always confused with several doubts regarding Google Adsense and Affiliate Marketing. But after reading this long and detailed article, My all doubts got solved. Now, I clearly understood the benefits and drawbacks of both Adsense and Affiliate marketing. Can you please suggest some effective tips for Tech News Bloggers? Any tools that can help such bloggers to improve their Website SEO? Good work, I am a digital marketing student and this post helped me in understanding the benefits of good AdWords and affiliate marketing. Keep updating such useful articles. 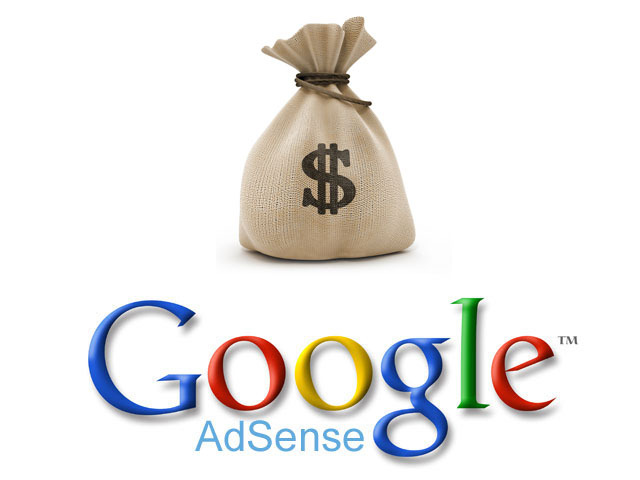 Google Adsense helps one to make good money. Great work Satish. Nice article dude , as there was a confusion regarding the google adsense and affiliate marketing. Both are online money making platforms . You sort the problem about preference and working out the same. Glad to see you on AllBloggingTips. Thanks for your valuable comments. Stay tuned on ABT for further informative articles including the link building. This is really an interesting debate. Affiliate marketing seems to be the winning strategy for many since you only need a couple of sales to make more than $100 whereas, you will need 1000’s of page views and click-throughs for you to make the same amount of money on Google Adsense. Thank you for the article. Yes, it is obvious Jeevan. If you are looking for long-term payouts, Affiliate marketing would be preferable. Each has its unique valid reasons to go with. For anything, you have to be passionate and tirelessly working. Nice article, According to me going with affiliate marketing can allow you to generate a lot of $$$ quickly rather than adsense or website monetization with advertising platforms. Once a perfect niche selected and the content boosted well, magic will happen and the earning would be double even in a few days. Thanks for reading and marking your thoughts about blog monetization ways. As you stated picking a niche is a crucial factor. It should be of one with decent pricing, having an attractive commission percentage, less competition, and what people want. All have to be considered for choosing a niche to pay you more. However, SEO and content marketing are demanding factors in bringing organic traffic. Thanks for this article . I really want to know the difference between in adsense and affiliate marketing and you describe the each and everything in a very good way . now I understand the both adsense and affiliate .Thanks for this beautiful article. Happy to note that you are benefitted out of this article about Google Adsense and Affiliate Marketing. Thanks and keep visiting ABT. and can you write about link building as well ? Excited to see you here and to note that you bookmarked. You can visit: https://allbloggingtips.com/rarely-known-ways-to-build-high-quality-backlinks/ to know more about quality link building techniques. Also, I would recommend you to keep reading this blog for more detailed articles on SEO, blogging, Monetizing, and furthermore. This is great. I have a question as a newbie to blogging and as well as affiliate marketing and everything. I have set up my personal blog recently. It does not have an audience yet. My question is, I have an authentic Google Adsense account for years. Should I use Google Ads on my fresh blog or wait for a right audience. What do you think Sathish? I have asked this same question from several pro bloggers. Nobody has cared about the Google Ads. They are only relying on Affiliate Marketing thigs. I would suggest you neither go for a fresh blog nor wait for the audiences. Instead, drive the audience to your existing blog and employ Google Adsense. I am sure it won’t happen with no time. However, for the price of time and efforts, you can achieve it. all i can say from my experience is that you should not rely only on adsense because then can ban your account any time plus they can lower down the cpc any time as well…then there are ctr issues as well…but the good thing is that you can find many untapped niches from which you can earn from adsense but on the other hand affiliate keywords are mostly competitive and you can hardly find a very easy to rank keyword. I agree with you, Instead of relying on a single source of monetization – it is wise to use multiple money making strategies to increase your online earnings. Google Adsense and Affiliate marketing are the two such money making ideas through blogging. There are still loads of income sources available like sponsored posts, reviewing products and more. Most of the affiliate companies offer PayPal as a payment method, whereas AdSense does not. AdSense offers recurring income, whereas affiliate marketing pays once per shot. Affiliate ads are more attractive, whereas we don’t have control over AdSense ads. Thanks for highlighting and recalling every aspect of both Affiliate marketing and Google Adsense. I am wondering to know your monetization source and which one do you prefer from your experience? Apparently, these three factors decide the success rate of any blog and it’s online earnings. Aiming at these three crucial factors will take you to earn your expected pay-outs. Thanks for posting this valuable post, I’m currently starting a company, a friend emailed me your link, and as always I enjoyed writing, this my friend, guided me to create a blog inside my site on topics that my clients would love to read, and add Google adsense on the blog. And after reading this post subreido by my friend, its content helped me a lot to put this practice into practice, and to make extra money. Thanks again for the valuable tips. Nice to know that your friend suggested this article to you. Thanks for your interest paid on this page. Moreover, you can browse more related posts of ABT for workable tips to get approval for Google Adsense. Although both have their own benefits but i personally like google ad sense as we can make more money with small efforts. To start with, Google Adsense would be best. As your page gains authority and gets huge organic traffic targetting your niche, then it is very much possible to multiply online income through affiliate marketing for a long term. Google Adsense is never ignorable. I think for me Google Adsense is the best because I can trust blindly on GA Apart from any other affiliate marketing campaigns. I am happy to know that you are getting good earnings from Google Adsense. Have you ever tried affiliate marketing? Eager to know your experience. This is a helpful review of both ways to make money online. I like affiliate marketing better than Google Adsense. You would need thousands of visitors a day in order to make good money with Google Adsense. On the other hand, you can make good money with a small amount of targeted traffic with affiliate marketing. I think there are more leverage and more that you can do to earn good money with affiliate marketing. Nice to see you here Freddy. Glad to see your thoughts on Google Adsense Vs Affiliate marketing. Stay tuned! Very Informative article. I just bookmark it as I want to read this again. I am still confusing regards google ad sense approval and banned account. If I got banned so one can retrieve it . Luckyly I have google adsense but my problem is traffics. so how can I can generate more traffic for affiliation? Well said Paresh. Have an in-depth analysis of your competitor’s site to know what your niche related audiences are curious about. Come up with posts answering your target audience. Happy to note that you have got good traffic to your web page with your efforts. Sleek and Cool Search Boxes For WordPress!